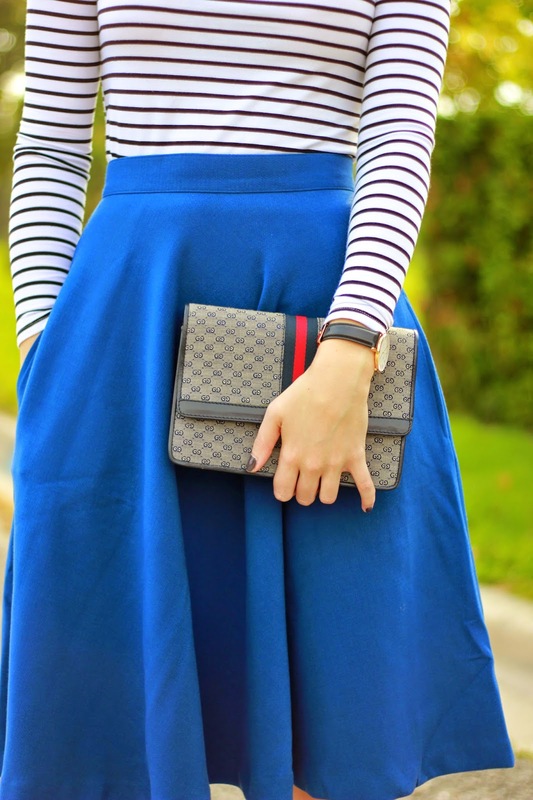 Midi skirts are very in trend at the moment, but I truly never thought I was going to like them. I always preferred my little mini skirts or skater skirts, but I feel so classy in this beautiful Pink Martini Collection skirt. I can't stop spinning and twirling when I wear this skirt, I feel like I'm from the 40's. 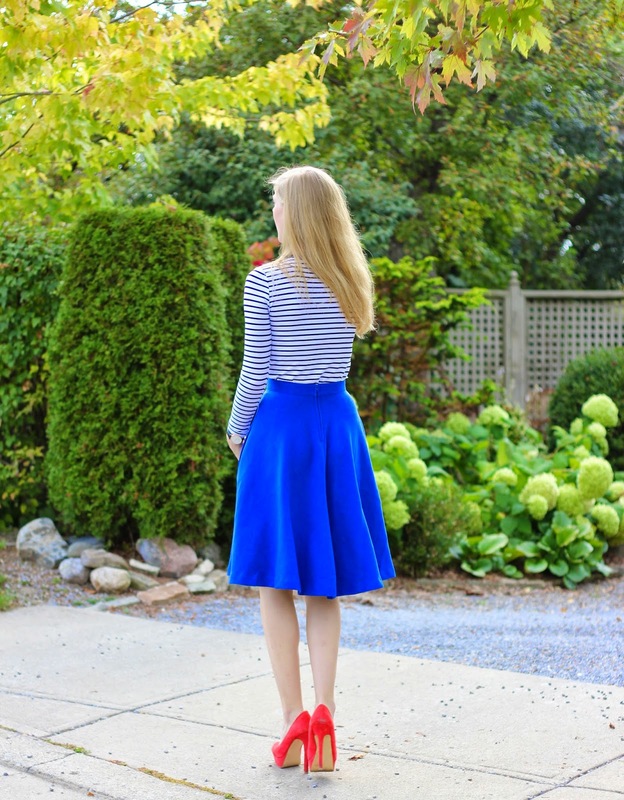 I paired this classic skirt with the ever so classic strip shirt, and added red accessories. Amazing look! I really like how you paired blue and red together, it's beautiful!